Are You Ready For A New Bathroom Vanity? 04 Jul Are You Ready For A New Bathroom Vanity? 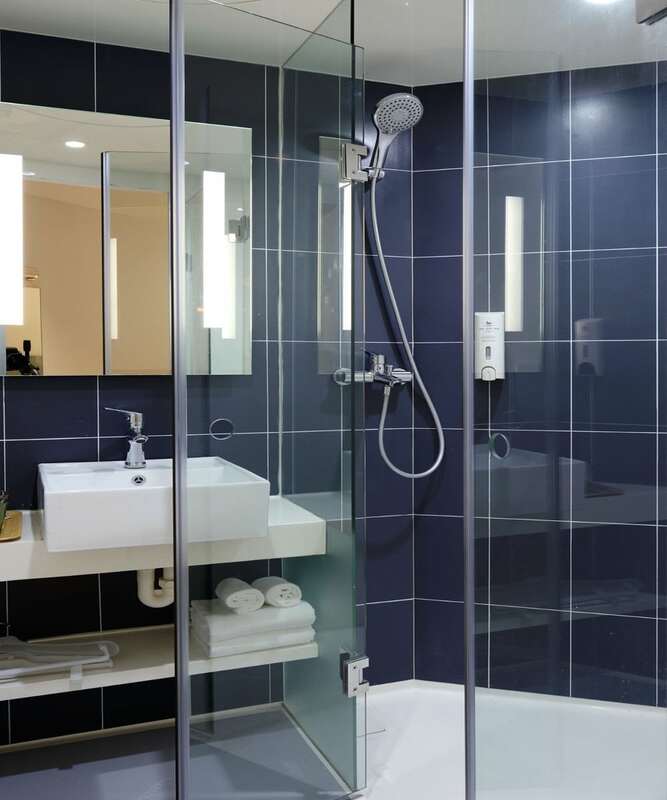 Are you exploring ways to improve your bathroom experience? Is your room missing a much-needed vanity? Looking to increase your home value? It takes a lot of time, money, and resources necessary to plan and execute a remodeling of your bathroom. Here are a number of ways to make the process as painless as possible. First of all, take measurements of your vanity. Draw the dimensions on paper so that you have a layout. You can experiment with ideas of where you want the sink, cabinets, and bathtub to go. Consult with an interior designer for ideas on new bathrooms and vanities, or you can search the internet for pictures of other bathrooms to get interesting ideas of what you would like yours to look like. Horizontal vanities are common, and while L-shaped vanities are not rare, they can be inconvenient regarding space if you don’t occupy its corner. Next, is to determine how many sinks you would like. If you are married, then you may think you need to have twin bathroom sinks, but not always. You can be restricted to one sink if you do not have enough room for two in your bathroom. Vanities, which are shorter than 5 feet will usually have one sink, and if that is enough, you can use the extra counter space for drawers. Since you are remodeling, you can decide where on the vanity to place your sink: either in the center or to one of the sides. If you own a home with a spouse, bathroom vanities Los Angeles homes can feature are ideal for master bathrooms. Another thing you can do is having one vanity for a sink, and another for seating, if you need a lot of space and care for applying makeup. One you confirm where you want your sinks and drawers to be, it’s time to pick the style of your vanity. If you are remodeling or installing just a vanity in your bathroom, then it would be idea to match the style to other parts of that room. If you are remodeling the whole bathroom, then it’s anything goes. Not all bathroom vanities Los Angeles has to offer can be attached to the room. Vanities can be standalone so that they are easier to take out for the next homeowner. Or, if you would like to move to a new home one day, you can take them with you! There are a variety of options for the appearance of the vanity you want. You can choose from several different materials, as well as the color and the style of drawers and doors that give it additional flair in its appearance. What you like to have in your drawers will determine what kind you would prefer to have for your vanity, whether they are pull out, or traditional doors. We recommend granite or quartz for countertops, as they are hard, durable, glossy, and come in a variety of colors. They can be as energetic or as neutral as you want them to be. There are three kinds of sinks available. Undermount sinks are placed below the countertop, and while they look practical, they need to be installed precisely. Vessel sinks go above the countertop. They will look like giant bowls sitting on your counter, but open up many more possibilities in its design and shape. Drop in sinks, go below your countertop, but have lips that stick above it. They are simpler to install than undermount sinks, but the lip can get noticeably dirtier the more the sink gets used.